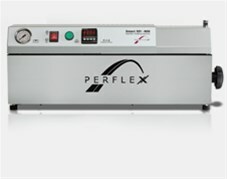 Perflex develops new formulas of high performance biocompatible thermoplastics for injection molding and tools to simplify the working process in dental laboratories. Allows for repairs and relining with conventional acrylics. 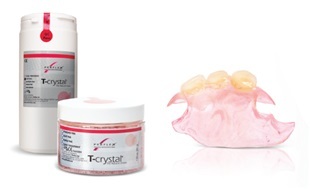 The new Rigid-thermoplastic compound for all type of dentures and transparent frameworks. Perfect elasticity, patient’s rapid adaptation. Repairable and relineable with conventional acrylics. Biocompatible Thermoplastic - With a dip in hot water, softens to a pliable putty, which hardens into unbreackable plastic. Suitable for impressions, instant individual trays, bite registrations and night gurds. Thermoplastic Peek Compound, the best alternative for non-metalic restorarions: as for fixed crowns/bridges and restorations over implants. 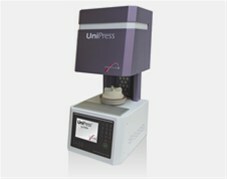 Available in pellets and CAD/CAM discs. 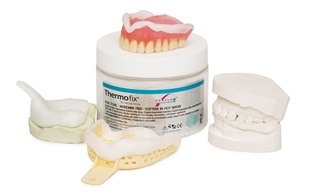 Flexible Thermoplastic for flexible and unbreckable partial dentures. High impact elastic Acrylic free monomer for all type of dentures with excellent aesthetic properties, bonds to all kind of conventional acrylic hard/soft. 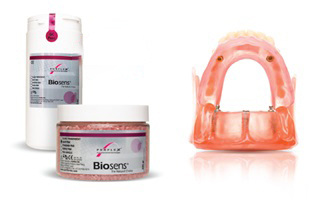 combined with light weight, thin and yet strong for durable full and partial dentures. 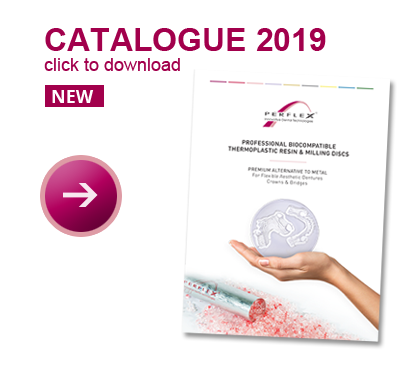 Dentures and appliances strong and durable thermoplastic for frame works, bridges,tooth colored clasps, space maintainers and dental appliances.